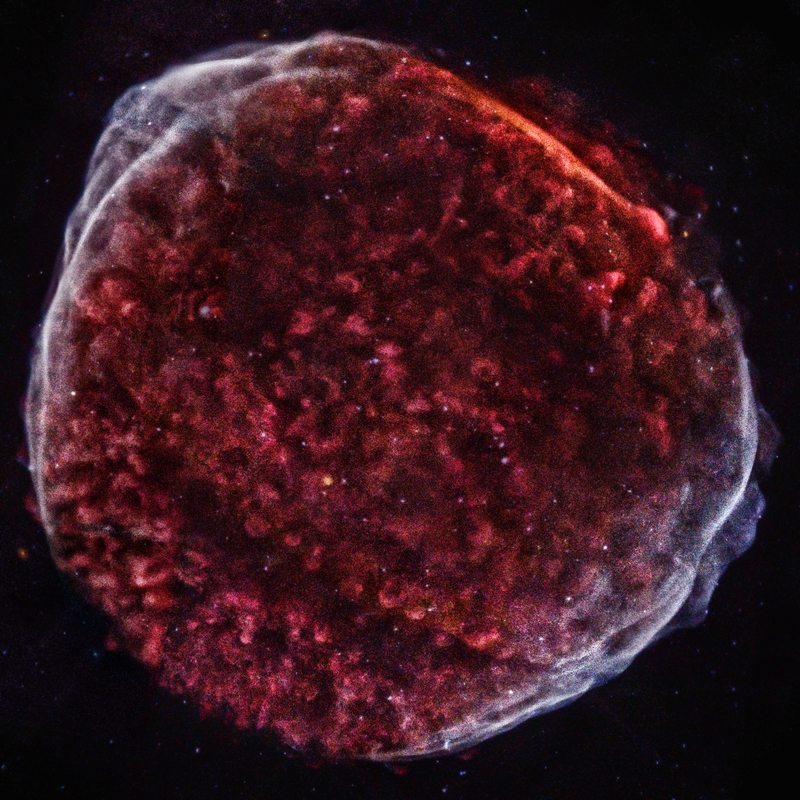 A new Chandra image of SN 1006 provides new details about the remains of an exploded star. This explosion was witnessed from Earth over a millennium ago. The Chandra data provides the best map to date of the debris field including information on important elements expanding into space. 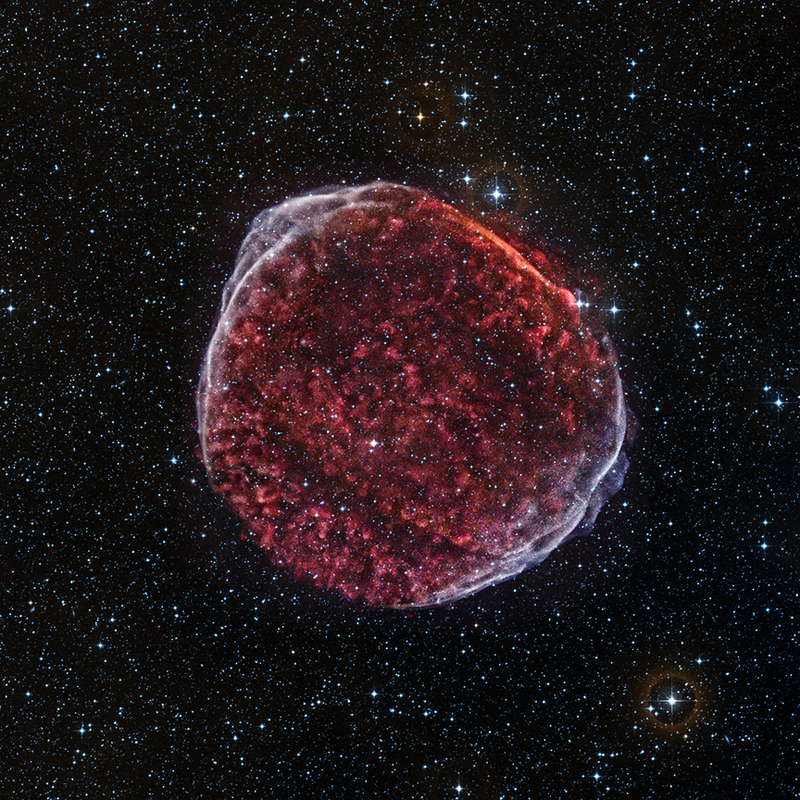 SN 1006 belongs to a class of supernova used to measure the expansion of the Universe. Scientists are also able to study just how fast specific knots of material are moving away from the original explosion. The fastest knots are moving outward at almost eleven million miles per hour, while those in other areas are moving at a more leisurely seven million miles per hour. SN 1006 is located about 7,000 light years from Earth. The new Chandra image of SN 1006 contains over 8 days worth of observing time by the telescope. These results were presented at a meeting of High Energy Astrophysics Division of the American Astronomical Society in Monterey, CA. This work involved Frank Winkler, from Middlebury College in Middlebury, VT; Satoru Katsuda from The Institute of Physical and Chemical Research (RIKEN) in Saitama, Japan; Knox Long from Space Telescope Science Institute in Baltimore, MD; Robert Petre from NASA -Goddard Space Flight Center (GSFC) in Greenbelt, MD; Stephen Reynolds from North Carolina State University in Raleigh, NC; and Brian Williams from NASA -GSFC in Greenbelt, MD. Observation Time 248 hours (10 days, 8 hours). I am always asking myself how stars emit X-rays, so can I get the answer please? Because this event was 7000 light years from us, this means the event actually took place 7000 years before it was observed and any effects on us from it could take place. At that distance any emitted radiation from it should have been very reduced. So, figure it blew up 8000 yrs ago. What gives the remaining matter so much energy to still be emitting Xrays 1000 yrs after the bang? How is the 34 arcmin scale calculated? Image is 34 arcmin across (about 70 light years).